75mm binding (3 pin) with custom heel pieces and screws. 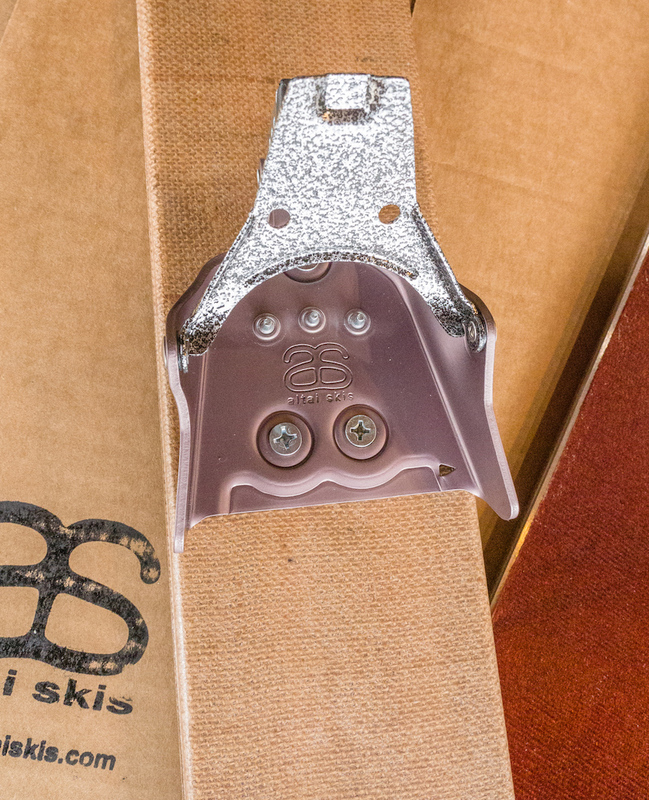 The bindings are made by Voile and customize with our logo. 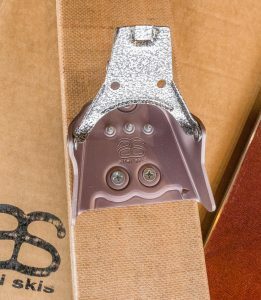 We also include all machine screws (M6) needed to attach the binding and the heel pieces. 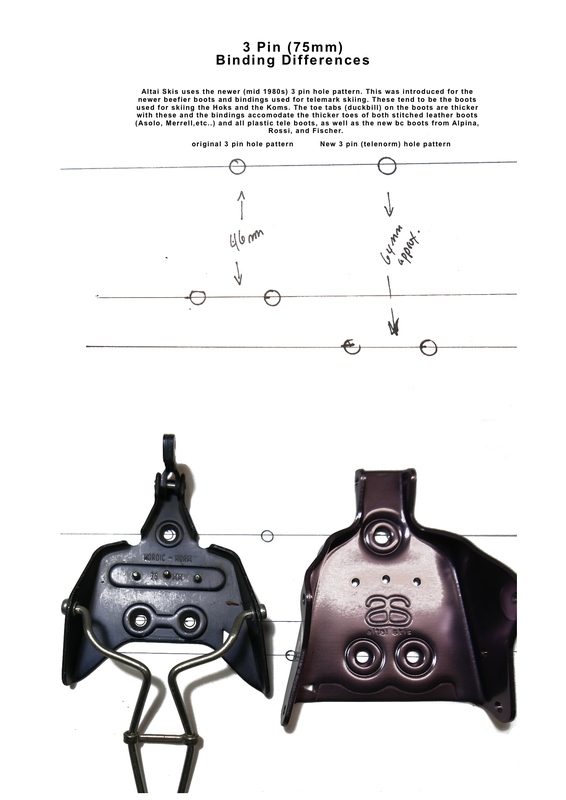 The heel piece is design for the Hok, and can rotate between 3 inserts to fit any size 75mm (3 pin) boot. The traditional 3 pin 75 mm system is ideal for the Hoks. 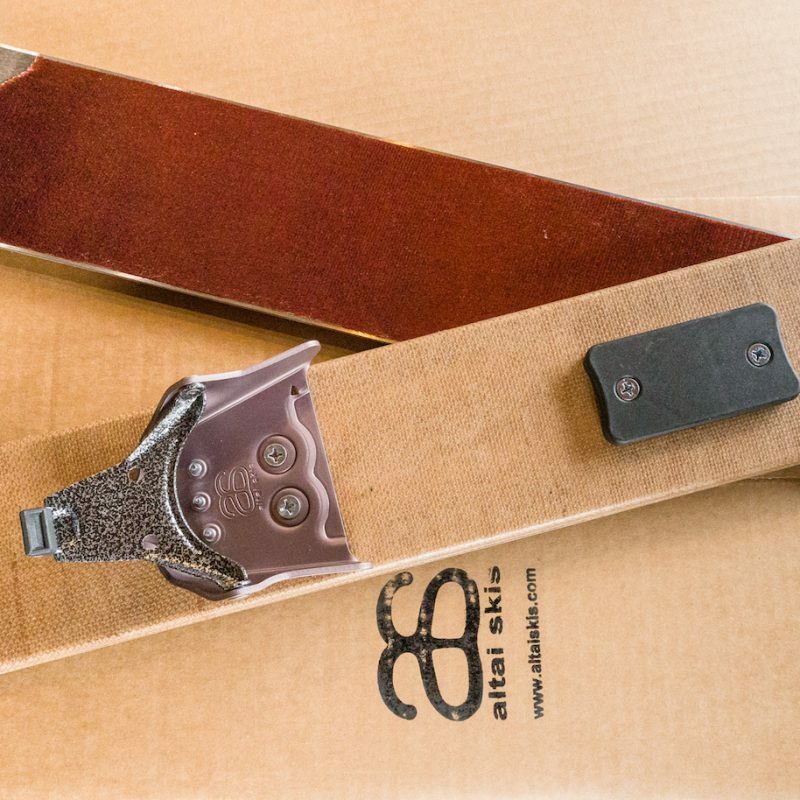 The bindings are very light and offers great ski control as well as touring flexibility. The Voile design is also extremely durable. This is our system of choice for the Hoks, and there are some great boot options out there these days. I use my old classic leathers that were the boot of choice in the 1980s, and nowadays there are some excellent light and touring friendly plastic boots out by Scarpa and Garmont for those really getting into more adventurous terrain. We highly recommend this system for the serious skishoer. There are two types of 3 pin bindings with different hole configurations. 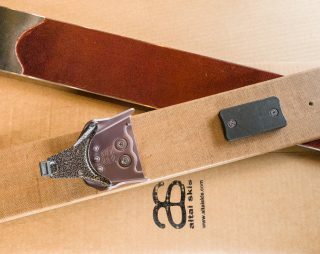 We sell the heavy duty ones that were introduced in the mid 80s with the resurgence of telemark skiing. they have a longer (more spread out) hole pattern and take boots with a thicker toe tab (the ‘duck bill’ on the front of the boots). The new heavy duty backcountry boots by Fischer, Alpina, and Rossignol also have this thicker toe tab.